Order HughesNet internet and high-speed broadband internet for homes, businesses and offices in rural areas and metro areas of U.S. Call us now to get Hughes Net Gen4 Satellite Internet deals. staying in touch ... everything you do online ... just got easier – and better. As your local HughesNet satellite internet provider in your area we offer Special Affordable internet Prices that you need and Personalized Customer Service that you want. •$99 Instant Savings on Lease Option. Offer ends soon. •$99.99 Standard Installation after $100 Instant Savings- Not valid with the Lease option. Offer ends soon. ••FREE Standard Installation valid on new Lease option only. Not valid with the Purchase option. Limited time offer. Order HughesNet Gen4 Satellite Internet and Surf Faster than Ever. Accessible HughesNet Gen4 Internet; Fast Internet every where. Dependable HughesNet Gen4; Get always on Gen4 satellite internet. Affordable prices and special deals; Choose the HughesNet Gen4 plan that's right for you. Call 800-882-2046 now to find out. Easy, Fast, Hassle-Free, Always-On; Gen4 High Speed Internet by HughesNet. Reliable System; with High Security Features provided by HughesNet. HughesNet Gen4; Satellite Internet that moves at the speed of you. Do more with HughesNet Gen4. Your super-fast, always-on, satellite Internet access is ready when you are – no dialing in, no waiting, and no tied-up phone lines. You can download files in seconds, check email instantly, and surf faster than you ever imagined. And HughesNet is compatible with Windows® and Macintosh®, so it's easy to get online anywhere in the contiguous U.S.
HughesNet is the leading provider of broadband solutions for consumers and small businesses. With HughesNet also known as Hughes Net you can access more content, get more done faster, and have more fun. Advantages of HughesNet: when you subscribe to HughesNet Satellite Internet Services, you can gain instant internet access to World Wide Web as easy as opening web browser. Simply by adding a router or switch to HughesNet satellite internet modem you can share your high-speed broadband connection with multiple computers, laptops, iPad and tablets simultaneously. How fast is HughesNet Gen4? HughesNet Gen4 gives you what you want, when you want it, right where you are. With speeds up to 15x faster than before!. With greater download capacity than ever before, you'll be able to watch videos, discover new music and more – entertainment comes alive with HughesNet Gen4 Satellite Internet. Do more with HughesNet Gen4. America's #1 choice for satellite Internet is now better than ever. Gen4.Satellite Internet that moves at the speed of you. Your HughesNet Satellite Internet system includes a satellite modem which connects directly to your home computer, and a satellite dish which is mounted on an unobstructed exterior part of your home. Tired of Dial-Up? Cannot get DSL or Cable? Now there's no reason for slow internet access just because you live in a rural area. Get satellite internet from HughesNet. Eliminate the frustration of dealing with a slow dial-up connection and Enjoy high-speed Internet plus great savings. What is HughesNet Gen4 Internet? HughesNet® Gen4 is the high-speed Internet solution that's available to everyone in the contiguous United States with a clear view of the southern sky. HughesNet uses satellite technology, not your phone line, to give you a super-fast, always-on Internet connection. HughesNet gets you online instantly, lets you surf and open pages faster, and allows you to download files in a fraction of the time it takes on a dial-up modem. No. There is no phone line or dial-up data modem required to use your HughesNet service. VPNs. VPNs do not work well over satellite. You may use a VPN with HughesNet plans, but you will likely experience reduced speeds by as much as 50-75%. You can restore your connection to full speed by simply disabling your VPN client when your session is over. Note: HughesNet Technical Support does not provide help with configuring or troubleshooting problems associated with VPN clients. Twitch Games. Time-sensitive applications that require fractions-of-a-second user inputs (such as multi-player "twitch" games or real-time equities trading) are not recommended with HughesNet due to latency issues. Latency refers to the amount of time it takes a packet of data to travel across a network. 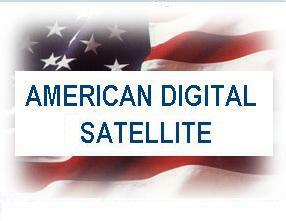 With satellite service, that data must travel up to the satellite and back (about 45,000 miles). This round trip adds about a half-second delay to the total time your computer takes to communicate with a Website or host server. Why choose HughesNet as the satellite Internet service for your home? Hughes is the leader in satellite Internet services and networks, with over 2.5 million systems installed in more than 100 countries. For over 30 years, Hughes has been developing and implementing satellite technology. As the pioneer in the satellite industry, Hughes is able to offer unparalleled satellite Internet services. Hughes offers satellite service globally under the HughesNet brand. HughesNet is a satellite Internet service which provides Internet access to customers no matter where they live in the contiguous United States. Dedicated to the individual consumer and their satellite Internet service needs, Hughes provides high-speed Internet to both rural and urban customers, offering high-speed satellite Internet access. This satellite Internet service is particularly revolutionary to rural customers who have had limited or no access to high-speed Internet in the past. Whether you are an individual looking to access the Internet at home or a major multi-national company needing to provide Internet access to hundreds of employees, there is a HughesNet service plan that can deliver satellite Internet directly to you. The HughesNet Website provides a convenient set of tools for customers to use. After signing up for satellite high-speed Internet it's easy to create an online account. With an account, you can change your billing information, manage email accounts, upgrade your service, and more. Via live chat and with a support representative Email HughesNet and receive a response within 24 hours Call us Whichever method of contact you choose, a Hughes team member is always available – just like our high-speed satellite Internet service. Find and Order HughesNet Gen4 Internet services and best deals on Broadband internet in these states. Order HughesNet internet and high-speed broadband internet for homes, businesses and offices in rural areas and metro areas of U.S. Call us now to get Hughes Net Gen4 deals and find reviews and services for local HughesNet satellite internet provider in your area.